Tinker, create, discover, and make! Experience something new and follow your interests through all 8 floors of the library doing hands-on activities presented by organizations from across the city, including animals, electronics, painting, juggling, and lots more! This event is part of the Dallas City of Learning, in partnership with Big Thought. 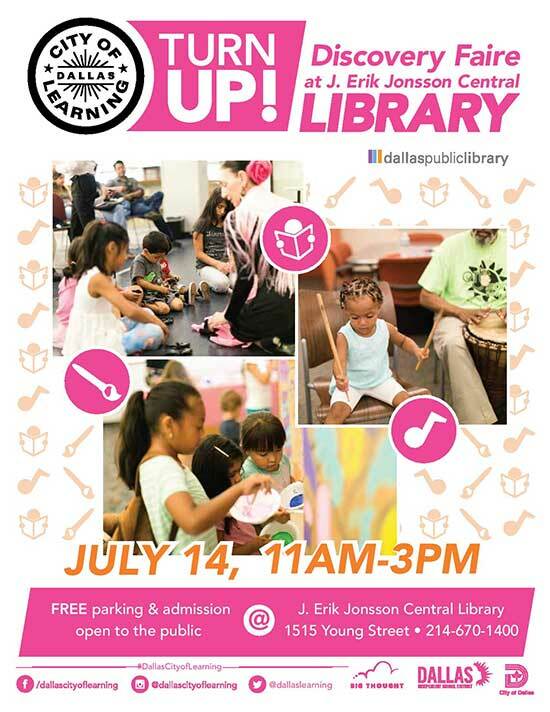 Discovery Faire is Saturday, July 14, 2018 from 11am – 3pm at the J. Erik Jonsson Central Library; for ages 6-11. Create art from repurposed materials with SPARK!